Spend the holidays with your favorite sitcom stars as Antenna TV, Tribune Broadcasting's multicast broadcast network airing in 111 TV markets across the US, reaching 79% of TV households, airs holiday episodes and themed marathons throughout the holiday season. Catch Thanksgiving episodes of your favorite sitcoms like All in the Family and Too Close for Comfort on Wednesday, Nov. 25 beginning at 5pm ET through 12am ET. And on Thanksgiving itself, Antenna TV will air "The Cleaver Family Thanksgiving Day Marathon," a 27-hour Leave it to Beaver marathon starting at 12midnight ET on Thursday, November 26, 2015. Next, snuggle up with a cup of hot cocoa and your TV remote, Antenna TV is bringing you a Christmas full of the most beloved TV shows that celebrate the holiday season. It starts off at 3pm ET on Christmas Eve (Thursday, December 24) with the 15-hour "Classic Christmas Collection," a showcase of Antenna TV's classic TV holiday episodes. Then at 6am ET on Christmas Day (Friday, December 25), gather the family around the TV to warm up next to the original "Yule Log" featuring a crackling fireplace and soothing Christmas music. The holiday favorites continue at 10am ET with more from the "Classic Christmas Collection," which includes holiday episodes spanning from the '50s through the '90s. Sitcoms airing in the marathon include holiday episodes of series not on the schedule (yet) like Webster, Dear John, Mork & Mindy and Wings! Moving on to New Year's Eve, make a date with Antenna TV this New Year's Eve, and enjoy laughter and celebration all through the night. The party starts at 8pm ET on New Year's Eve, featuring alternating episodes of The Jack Benny Program and The Burns and Allen Show and continues for 9 hours (until 5am ET). Then the New Year means it's time for a new start and Antenna TV leads the way with a "Fresh Start" marathon from 5am-11pm ET on Friday, January 1, 2016. See how Antenna TV's classic shows started out with the airing of pilots and memorable firsts of each series, including the premiere of three new shows on Antenna TV: Johnny Carson, Mork & Mindy and Dear John. And finally...here's Johnny! Beginning January 1, Antenna TV will tuck America in each weeknight with a 60-minute classic Johnny Carson episode airing at 11 pm ET with a rebroadcast at 2 am ET. On weekends, Antenna TV will run 90-minute episodes at 10 pm ET with a rebroadcast at 1:30 am ET. We will have more on the new Antenna TV January 2016 schedule that will have Johnny Carson, Mork & Mindy and Dear John. No word yet if Webster and Wings will join the lineup yet, but enjoy the Christmas airings this Christmas Eve and Day! Stay with us. TBS has given a greenlight to Search Party, a dark comedy about a group of four self-absorbed 20-somethings who come together when a former college acquaintance mysteriously disappears. 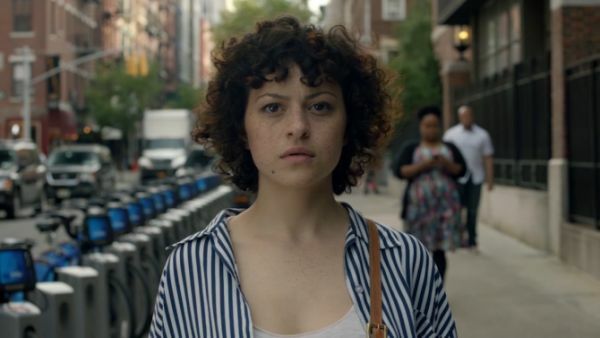 Led by Alia Shawkat (Arrested Development), the cast of Search Party features an ensemble of young comic actors, including John Early, John Reynolds and Meredith Hagner. The pilot was written and directed by Sarah-Violet Bliss and Charles Rogers, whose credits include the 2014 SXSW Film Festival Grand Jury Award-winning feature film Fort Tilden and Wet Hot American Summer: First Day of Camp, and overseen by Michael Showalter (Hello, My Name Is Doris, Wet Hot American Summer). Tony Hernandez (Broad City, Inside Amy Schumer, Louie) and Lilly Burns (Broad City, Difficult People, Younger) will serve as executive producers, alongside Showalter, Rogers and Bliss. Plans call for Search Party to launch domestically across TBS's linear, digital and mobile platforms in 2016. Turner International's general entertainment networks will partner to present the series outside of North America.